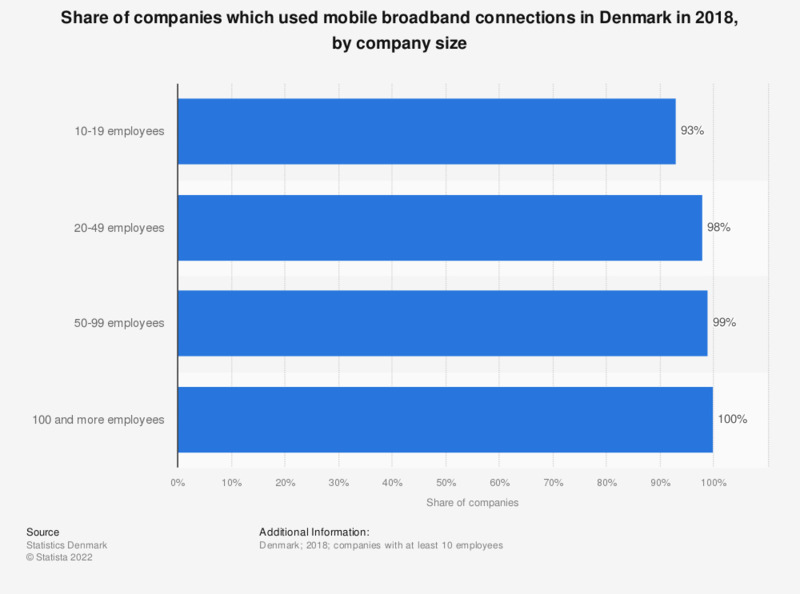 This statistic shows the share of companies which used mobile broadband connections in Denmark in 2018, by company size. That year, all companies with 100 and more full-time employees used mobile broadband. Company size is measured by number of full-time employees.